Gothandam – is a name of the bow which is carried by lord Rama. In this Temple Rama blessed his devotees with sita, lakshman,Hanuman and Vibhishanan . Gothanda Ramar Temple is situated 14km from the Rameswaram town. This Temple is surrounded by sea water on all of its sides. The road at the center of the sea leads us to the Godhanda rama swamy temple. During Winter season (October – November) Sea Gulls, flamingos and some more birds made their visit to the palce near Gothanda Ramar Temple (Normally these birds clustered inside the sand pits near Gothanda Ramar Temple). The view of Ramanathaswamy Temple, Dhoordharshan Tower, Agni theertham from this temple is spectacular. In this place Vibhishna (Brother of demon king Ravana) is said to be surrendered to Lord Ram and ask ram to accept his as a member in his crew. Ram accepted Vibhisna and assured him that he will be the next king of Srilanka, after the death of Ravana. And lord Ram did the first crowning ceremony of Vibhisha as a king of Lanka in this place. 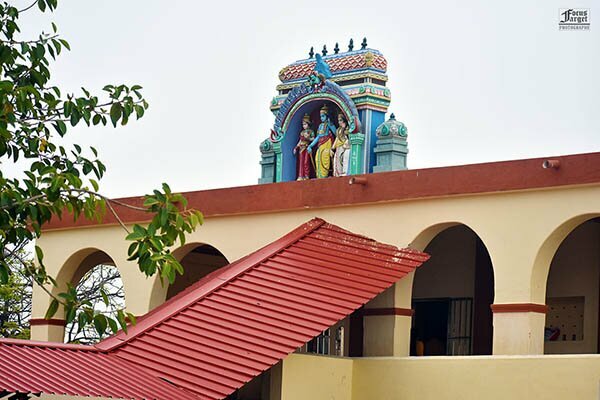 How to reach KothandaRamar Temple?